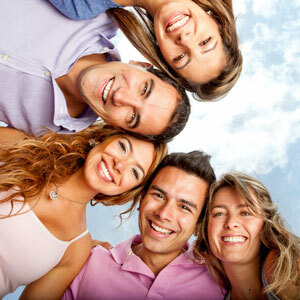 The full range of Invisalign® Clear Braces! Malocclusion (sometimes referred to as bad bite), refers to poor contact between the teeth as they bite together. Crooked teeth are one cause of this condition and treatment can have both aesthetic and functional benefits, including reduced wear of the teeth as well as prevention of jaw pain and headache. Get straighter teeth without the inconvenience of traditional metal braces! Invisalign® i7. Designed to treat minor crowding of teeth, orthodontic relapse (where previously treated teeth have partially migrated back to their original position), and for aesthetic improvements, however doesn’t treat back teeth. Invisalign® Lite. Treats all teeth, for cases of mild to moderate complexity, with shorter duration than Invisalign Full. Invisalign® Full. For treatment of bad bite in more complex cases, or long-term treatment (of 12 to 24-months duration). Invisalign® Teen. Created especially for teenagers, with blue indicators that fade to clear (when it’s time to change the Aligners), modified design to fit around canines, second premolars, and second and third molars. Vivera Retainers. Help maintain the position of treated teeth, prevent movement of the teeth towards their original positions. As with the majority of our treatments, K1 Dental’s Invisalign® costs are presented online. However, if you have any questions, or are interested in booking a FREE 15 minute consultation to discuss Invisalign®, please contact us on (03) 9827 2922 – we’re here seven days a week! 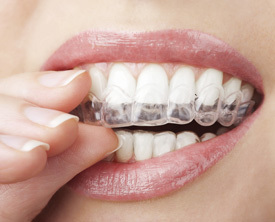 Invisalign® is a system of clear, removable aligners individually customised for your teeth. Invisalign® patients benefit from a week-by-week adjustment of their aligners, giving you more comfort as changes in teeth position occur gradually. As the aligners can be removed at any time, you can still enjoy your favourite foods and easily keep on top of your dental hygiene. You will also receive a defined and clear treatment plan that shows you the gradual movements of your teeth during treatment including a virtual 3D animation of how your teeth will look after treatment by our Invisalign® dentists. The virtual 3D animation is part of a system called ClinCheck, which allows you to discuss your preferences with your dentist and request any minor changes to the alignment and position of your teeth. The Invisalign® aligners are clear and discreet so almost no one will notice that you are having a cosmetic dental procedure. They really are almost invisible braces! Teenagers can often be most conscious about their appearance and may welcome an invisible brace that allows them to live life to the full (without worrying about restrictions on eating, brace irritation and unsightly wires). Teenagers can benefit from the same Invisalign® treatment we offer to adults but for younger teens, who may not yet have lost all of their milk teeth or who don’t have a full set of adult teeth, Invisalign® Teen might be more suitable. Six replacement aligners, as we understand that children are prone to losing essential items. The cost of the treatment can vary between patients due to their personal requirements. Because we want to be as transparent as possible, we offer a high-quality professional consultation for free. At your FREE 15 minute consultation, your specialist Invisalign® trained dentist will walk you through the process and provide you with an upfront written quote and treatment plan. How can I get Invisalign® in Melbourne? If you would like to know more about straightening your teeth with Invisalign® Clear Braces, or to obtain a written treatment plan and quote, then book a FREE consultation with one of our dentists today on (03) 9827 2922.